Basic SEO Reporting Service - Web Technology, Inc. 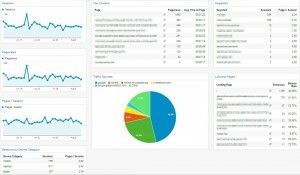 It is important from day 1 to measure web site traffic and the interactions of web site visitors. 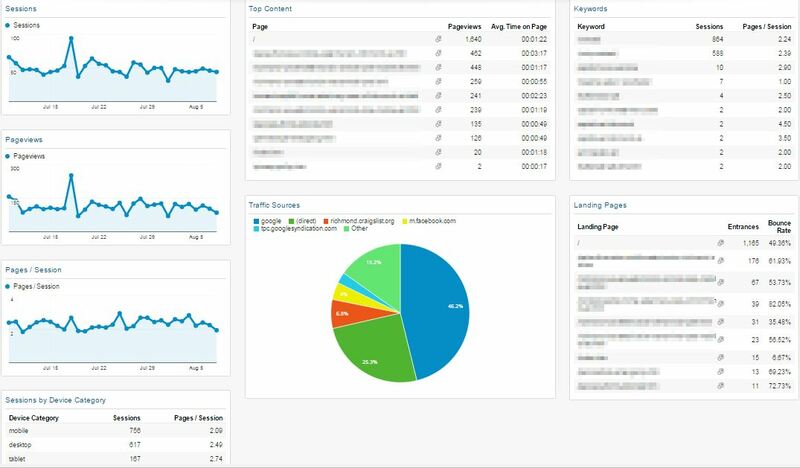 While there are a myriad of different reports that can be generated, often it is best to get a snapshot of your monthly traffic in one concise dashboard. Our basic SEO reporting service does just that for only $50 per month or $500 for 1 year. See desktop traffic vs. mobile traffic and what pages are being visited the most. Find out where web site traffic is coming from. See all this information in 1 dashboard view. The dashboard can be updated if there is a stat that is not included that you’d like to see. See the vital stats for your web site in 1 PDF sent directly to your inbox. Along with the graphs and statistics you’ll get an explanation of the statistics along with the PDF. Contact us today to learn more or to sign up. More detailed reporting is also available.